Unsure of what to order? Send a Top It Off eGift Card and let them choose! Upon purchase an eGift Card will be emailed within 24 - 48 hours to the email address provided below. You may enter your own email address if you'd like to forward the eGift Card to the recipient yourself. 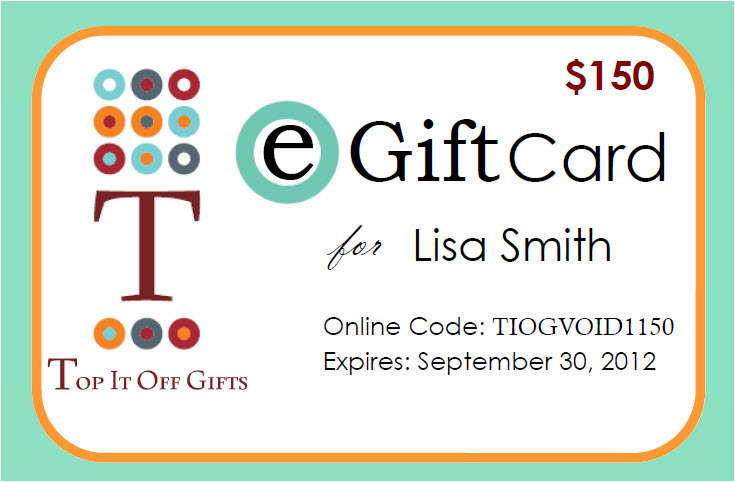 Or if you prefer, you can also print out the eGift Card from your email and hand deliver it to the recipient. You may order multiple eGift Cards and combine the sum of the denominations. For example, if you want to send a $75 eGift Card to the recipient, you can purchase (1) $25 eGift Card and (1) $50 eGift Card and indicate on your order that you want the denominations combined. We will issue (1) eGift Card for the combined denomination of $75.